Need to stock up on cleaning products? 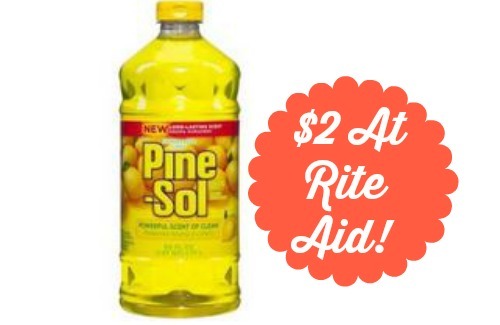 Print a $1/2 Pine-Sol coupon to get the cleaner for $2 at Rite Aid. With this coupon, you can get Pine-Sol for $2. Don’t wait to print your coupon! Have it ready for the sale that starts 10/12. This cleaner is great on all kinds of surfaces!